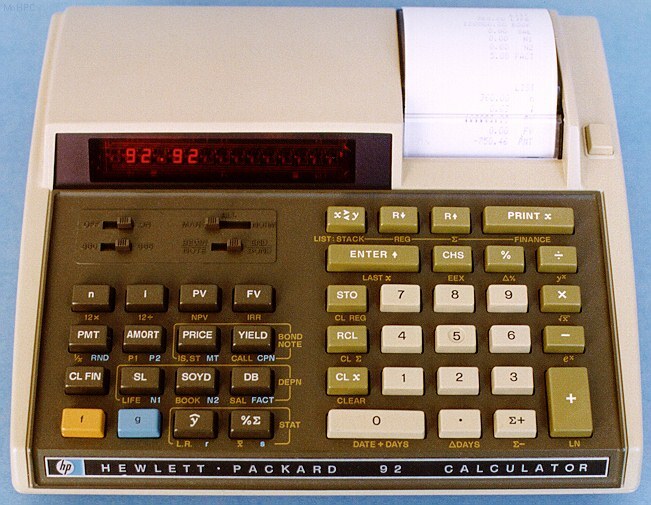 The HP-92 was HP's second battery powered printing calculator. It was the business/financial model of the series and featured an improved Time Value of Money solver that could compute any of the basic five financial values given four known values. (For many problems, only three known values were needed.) It also provided depreciation using declining balance, straight line, or sum-of-the-years-digits methods and accounted for book value and salvage value. 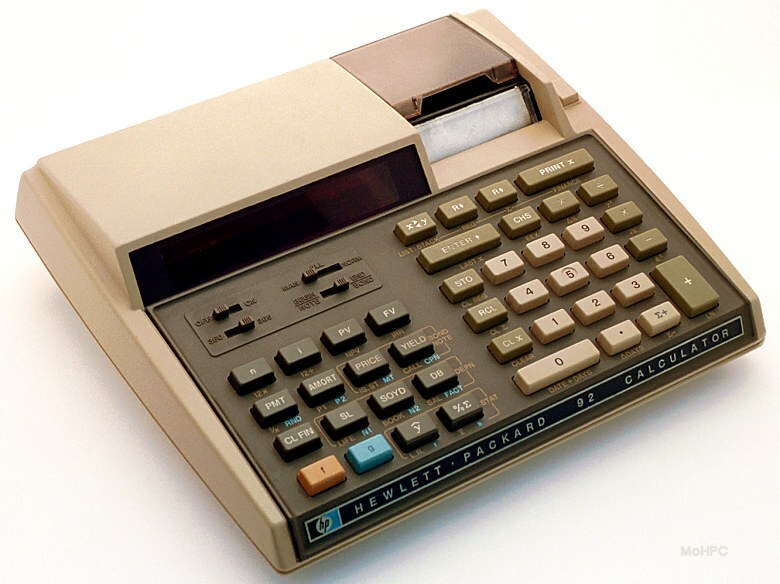 Like the HP-80, the HP-92 included bond price and yield, but it added call price, coupon amount, and issue, settlement and maturity dates. Also new were Internal Rate of Return calculations, and switches to select 365 or 360 day year calculations and begin/end of period payments. List SUM: Printed the 10 summation registers. List Reg: Printed the 20 general registers. List Finance: Printed the financial registers. The HP-92 was based largely on 20 Series technology. In addition, it added LED drivers for the larger display, and a new Printer Interface Control & Keyboard buffer circuit (PICK). Unlike the handhelds, the desktop machines used a light feeling keyboard well suited for rapid data entry on the desktop.